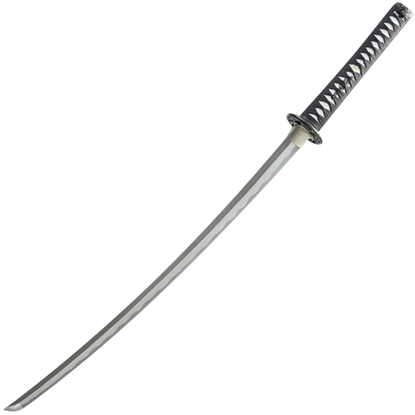 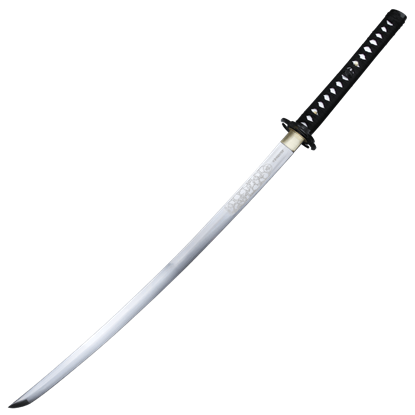 The traditional weapon of the samurai during feudal Japan, the katana features a slender, single-edged blade with a moderate curve and a long, two-handed grip. 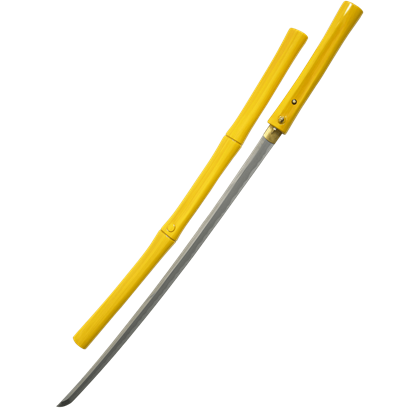 Changes in close combat fighting led to the rising popularity of this Japanese sword, which allowed a faster draw time due to being worn at the waist with the edge facing up. 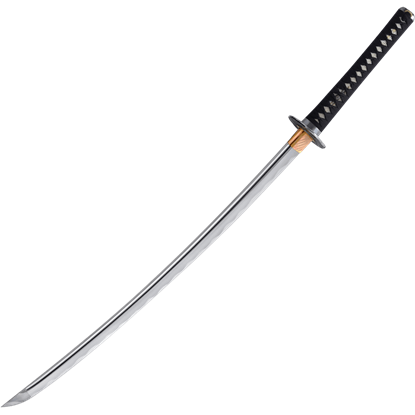 In a best case scenario, this design would allow a samurai to draw the sword and attack in a single motion. 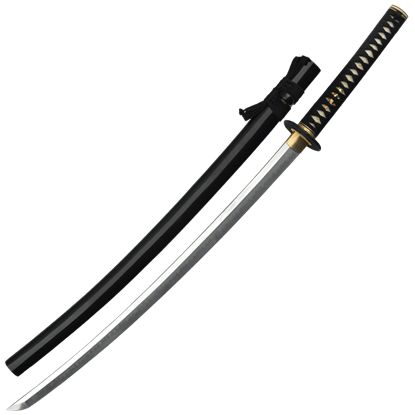 Functional katana are still used in modern martial arts. 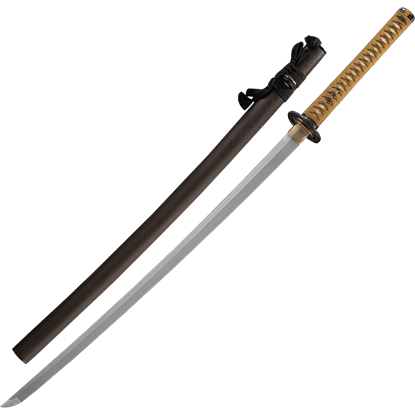 At Buying a Sword, you will find many traditional katana crafted with authentic forging techniques, including decorative katana and functional katana. 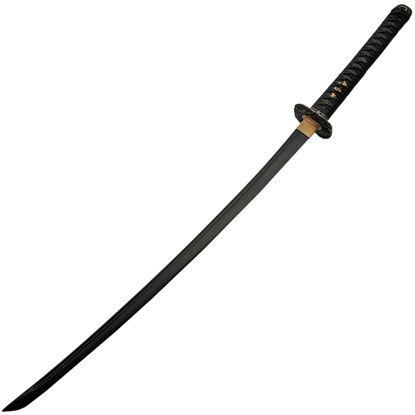 Various limited edition katana and high quality samurai swords are beautiful enough for display and sturdy enough for use. 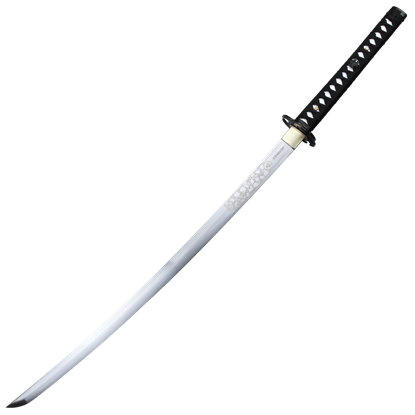 Whether you need a martial arts katana for training or a superb collectible katana for decor, you will uncover many unbeatable Japanese blades here at Buying a Sword. 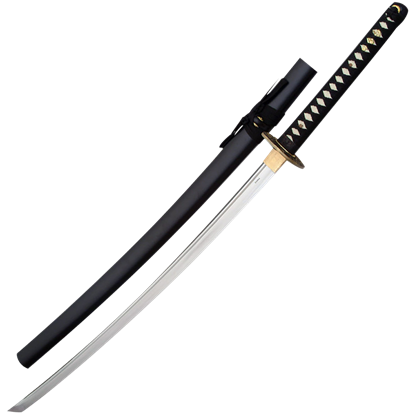 The Black and Gold Katana with Stand is a remarkable collectible weapon in the traditional style of a samurai sword. This carbon steel sword is forged by hand, has a full tang, and comes with both a display stand and a storage box. 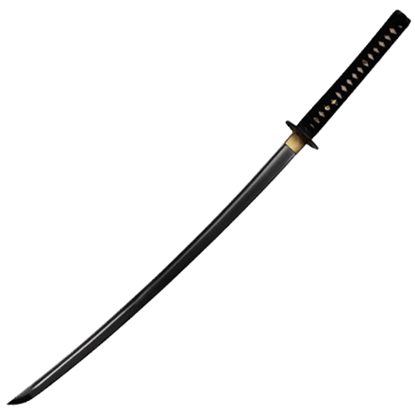 Samurai were known for their devastatingly quick swords. The Black Blade Cloud Dragon Katana is based on the traditional Japanese weapon, and its narrow, slightly curved carbon steel blade has a black finish furthering its sleek look.